The New Museum presents the first comprehensive exhibition of Camille Henrot’s work in the US. In her work, Henrot (b. 1978 Paris, France; lives and works in New York) analyzes systems of visual information and typologies of objects from a wide array of historical moments. She has produced a number of visual essays in which she follows intuitive research pursuits across disciplines and finds a variety of aesthetic and morphological links between disparate systems of knowledge. Henrot’s practice combines anthropological research with a staggering range of cultural fragments reflective of the current digital age. Her exhibition at the New Museum provides a survey of her recent work. The title, “The Restless Earth,” is borrowed from a poem by the Martinican writer Édouard Glissant, known for his novels, poems, and writings on colonialism and diversity. The exhibition features four of Henrot’s recent videos including Grosse Fatigue, a standout of the recent Venice Biennale, garnering her the Silver Lion as most promising young artist. The work extends on earlier videos like Coupé/Décalé (2010) and Million Dollar Point (2011), which capture rituals and landscapes that move across history and bridge disparate cultures and geographies. 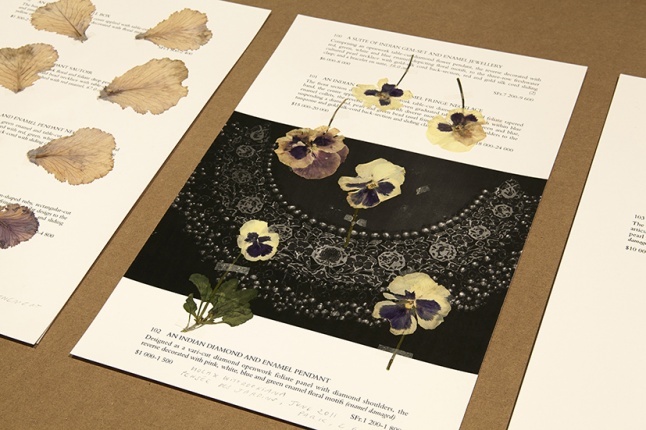 “The Restless Earth” also includes several series of works on paper and a new installation of “Is it possible to be a revolutionary and like flowers?” (2012–14). 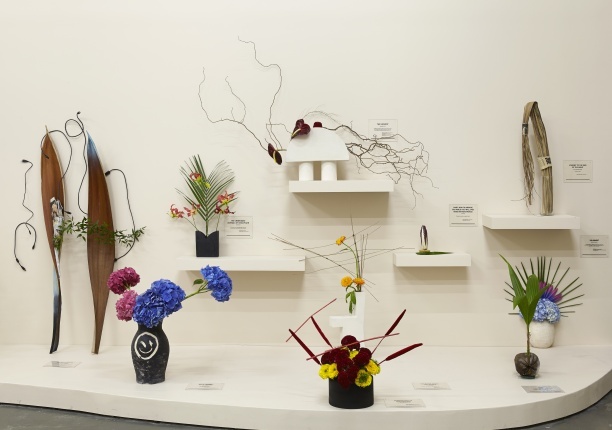 In this series, Henrot translates books from her library into ikebana arrangements, connecting the languages of literature, anthropology, and philosophy with the equally complex language of flowers. 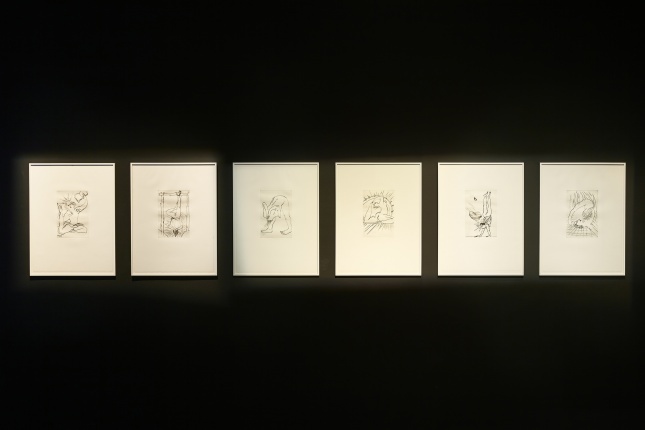 Through translation as well as archival research and the creation of hybrid objects—apparent throughout the artist’s videos, sculptures, and works on paper—Henrot demonstrates how the classification of artifacts and the production of images structure the way we understand the world. 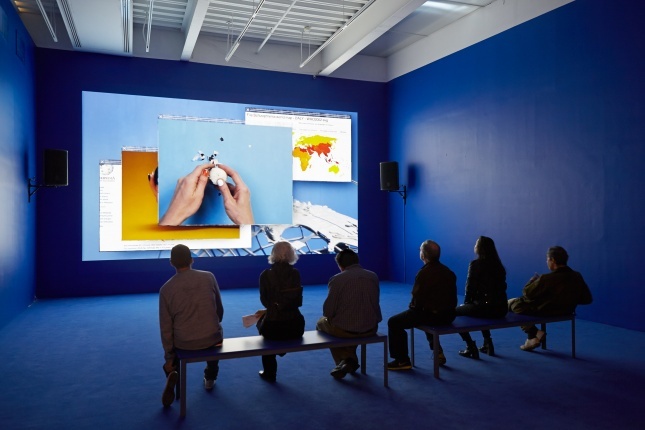 “Camille Henrot: The Restless Earth” will be on view on the Second Floor from May 7–June 29, 2014. The exhibition is curated by Massimiliano Gioni, Associate Director and Director of Exhibitions, and Gary Carrion-Murayari, Kraus Family Curator. Camille Henrot’s work has been exhibited at the Institute of Contemporary Art in London, the Centre Pompidou, the Musée d’Art Moderne, the Palais de Tokyo in Paris, the New Orleans Museum of Art, and the 55th Venice Biennale. In 2010, she was nominated for the Prix Marcel Duchamp, and in 2013, she was the recipient of the Smithsonian Artist Research Fellowship in Washington, DC, where she produced the video Grosse Fatigue. Henrot currently has a solo exhibition at Chisenhale Gallery, London, which will travel to Bétonsalon – Centre for art and research, Paris, Kunsthal Charlottenborg, Copenhagen, and the Westfälischer Kunstverein, Münster. This exhibition is also made possible, in part, by the Toby Devan Lewis Emerging Artists Exhibition Fund. Support for the accompanying publication has been provided by the J. McSweeney and G. Mills Publication Fund at the New Museum. Special thanks to kamel mennour, Paris, and Metro Pictures, New York.